On Saturday October 13, we co-hosted Imagine Science Film Festival (ISFF) Short Program Through the Singularity at Littlefield, Brooklyn. ISFF is a film festival founded by a group of graduate students at Rockefeller University, which now produces annual science film festivals all over the world. ISFF is dedicated to the appreciation of science with the objective of making science accessible and interesting to all. 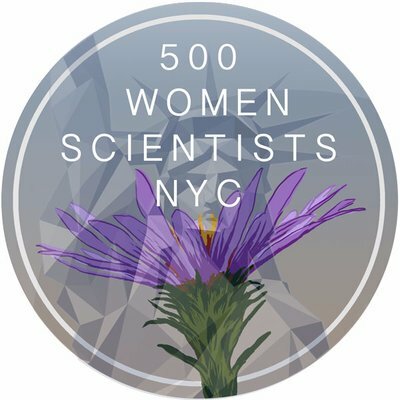 In this, their goals align with that of 500 Women Scientists NYC. Our Membership Coordinator Shejla Pollozi and Pod Co-chair Kimberly Fung opened the evening’s program with a presentation of our mission of promoting inclusion and equality for women in science. It was exciting to see a panel of female filmmakers and scientists represented at the Festival. The topics of the short movies concentrated on the opportunities, and problems alike, that technology could bring to our future society. From a cartoon about the workforce of the future (what if all jobs will be replaced by machines? ), to short movies about robots depicting humans while creating their own art, to upgrades of humans which can be programmed to like or enjoy whatever we like, all the movies presented an aspect of the problems, leaving the spectators the challenge to find a solution. It was a night of thought-provoking and open dialogue. Just as is the real essence of science! Elena Giorgi is a Mathematics PhD student at Columbia University. Her field of research is mathematical physics, focusing on the mathematical problems of black holes. In her free time, she likes to read, travel, and explore New York City.